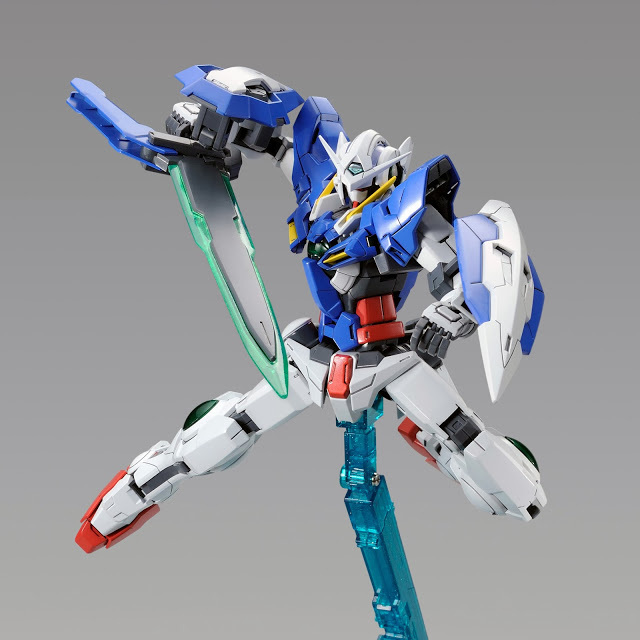 From "MOBILE SUIT GUNDAM 00", GUNDAM EXIA REPAIR II is here in Master Grade!! 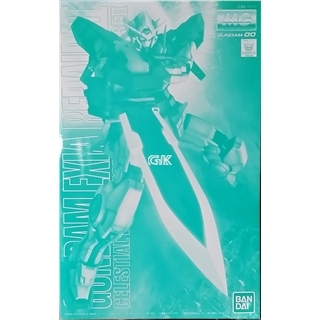 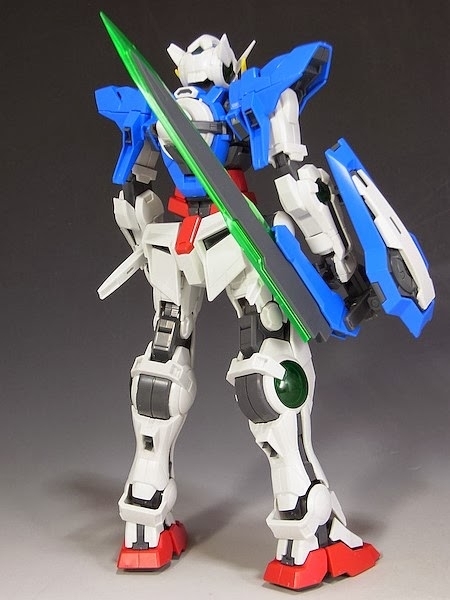 The destructive GN Sword Kai newly changed along with GUNDAM EXIA REPAIR II is included with brand new design. 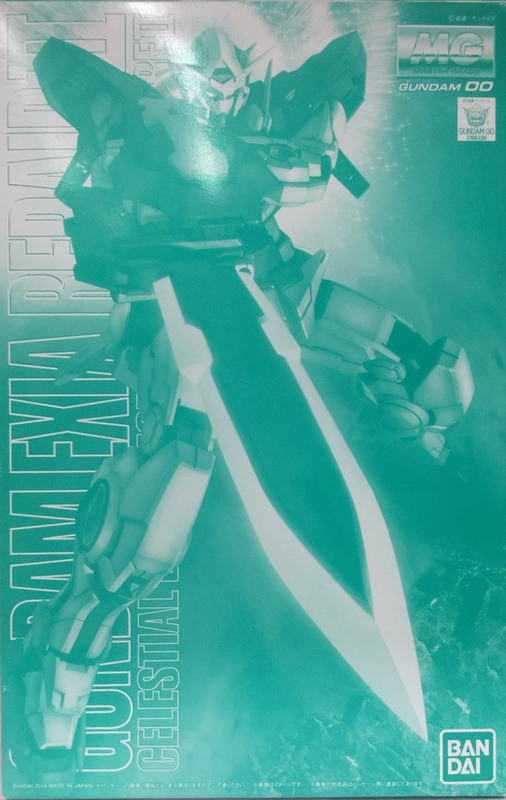 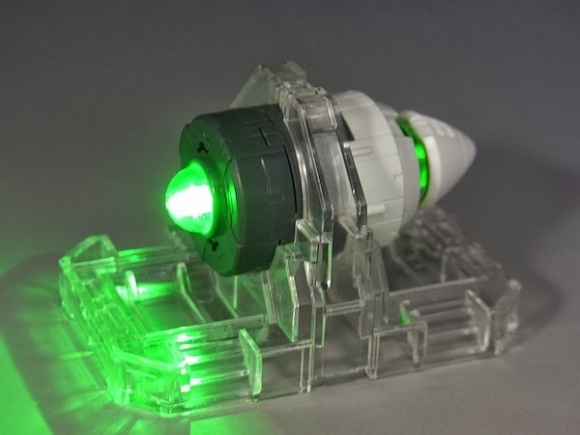 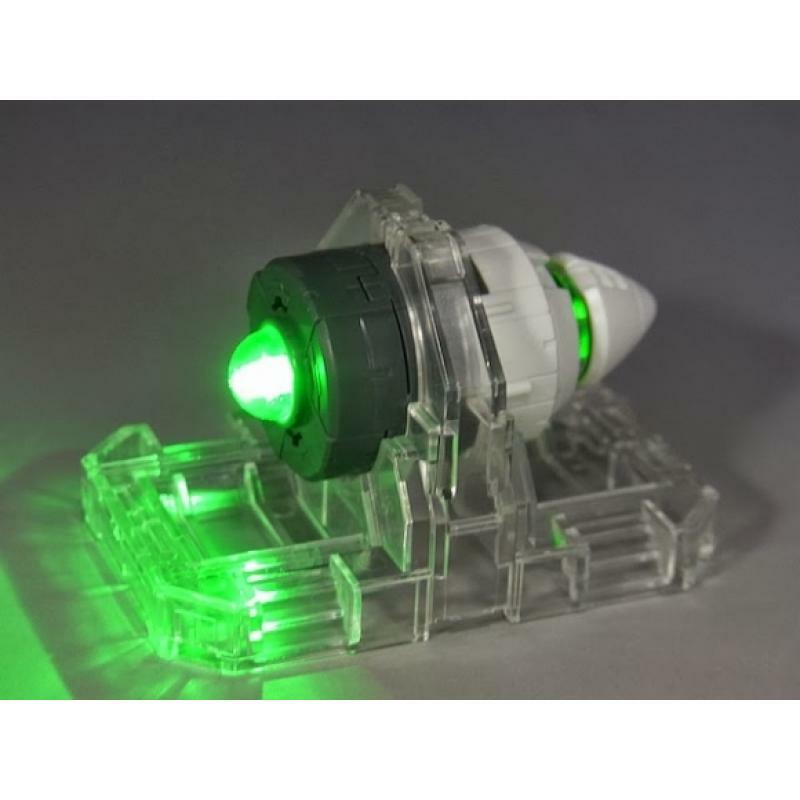 The signature edge part of the beam sword uses clear material to show the sharpness and beauty from the show. 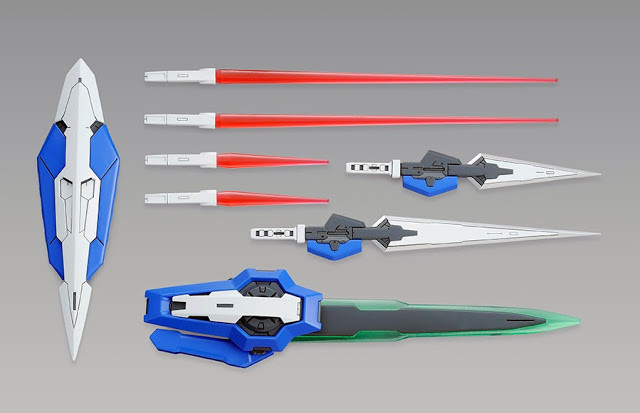 The folding system of the sword is recreated, along with gimmicks to set on the arm or expand its shape. 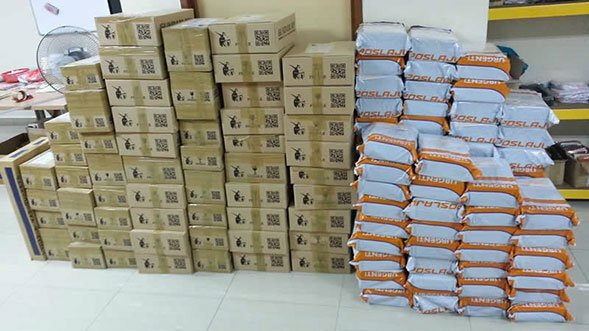 Characteristics of the Mobile Suit faithfully replicated. 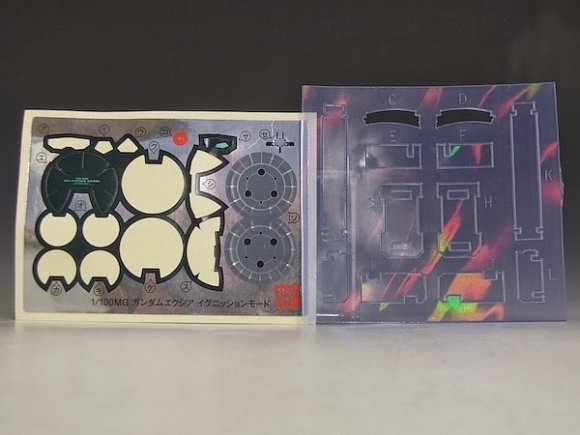 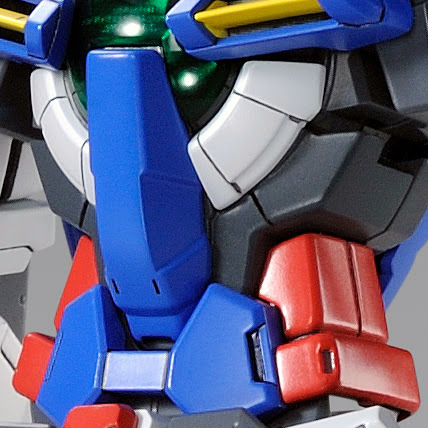 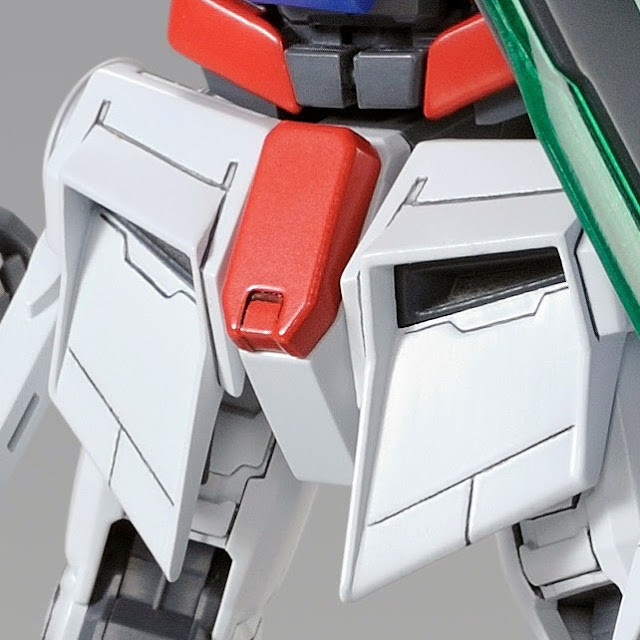 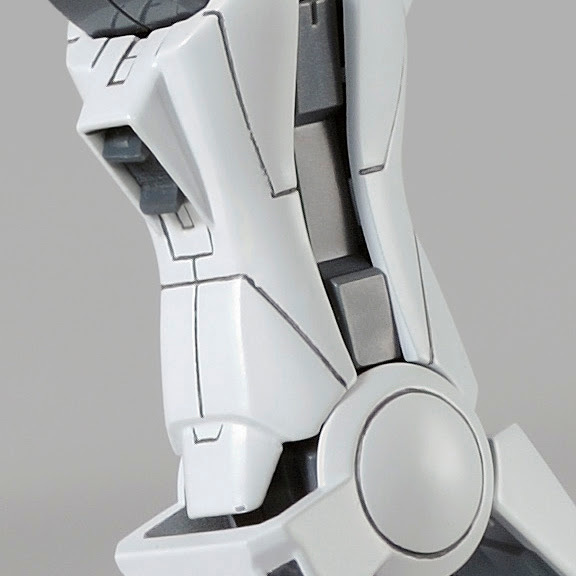 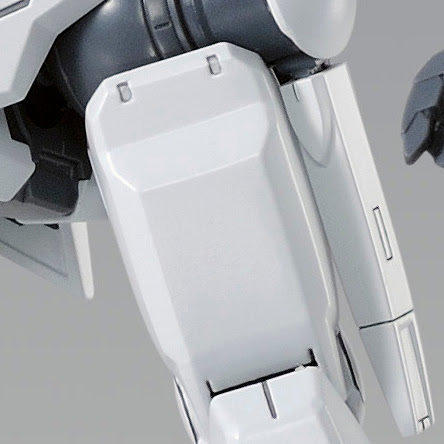 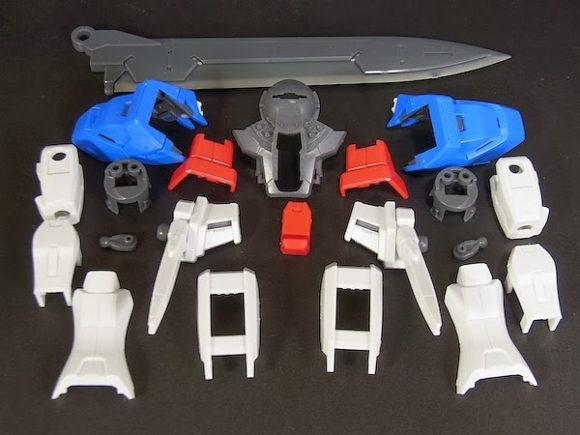 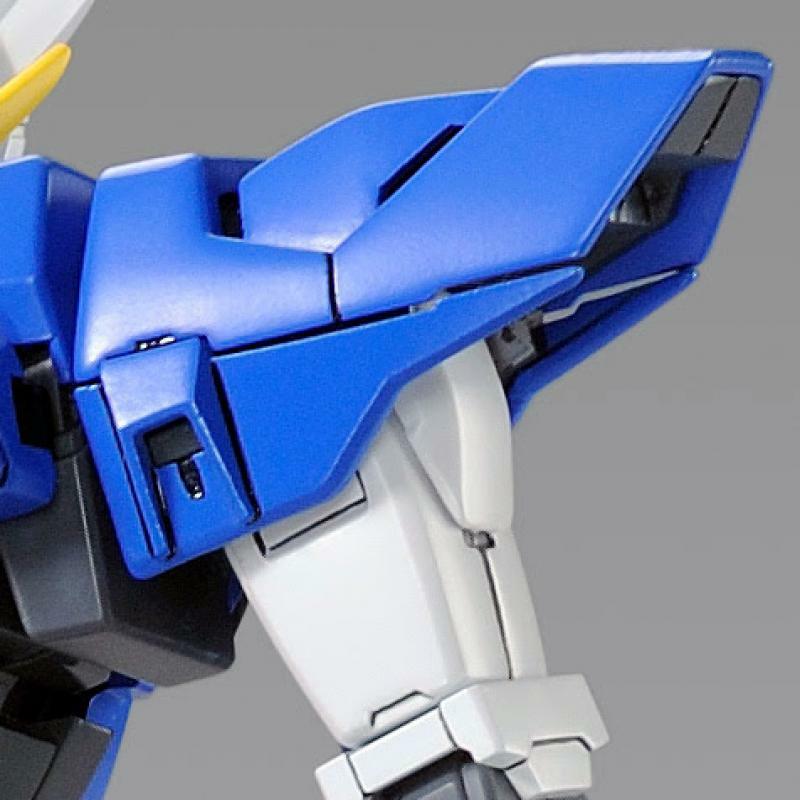 The surface parts of "REPAIR II" is faithfully replicated in new design based on "MG GUNDAM EXIA"
New thruster nozzles added to the shoulder armor, back armor, and the back of the calves, changing its shape. Other details, such as the codes on the arms and legs are switched to inner-armor type so changed the surface armor parts of the same places, are fully supervised to recreate REPAIR II. 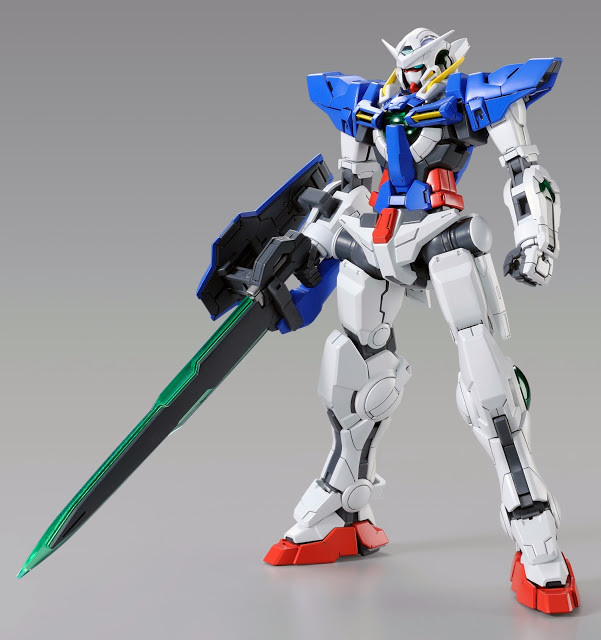 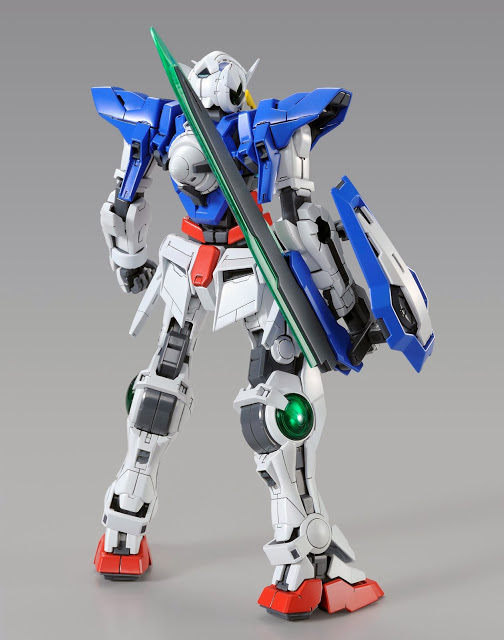 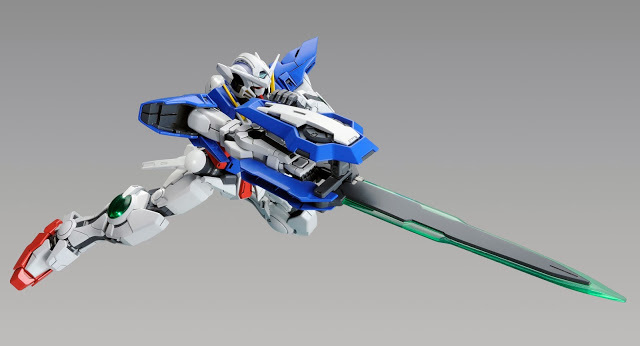 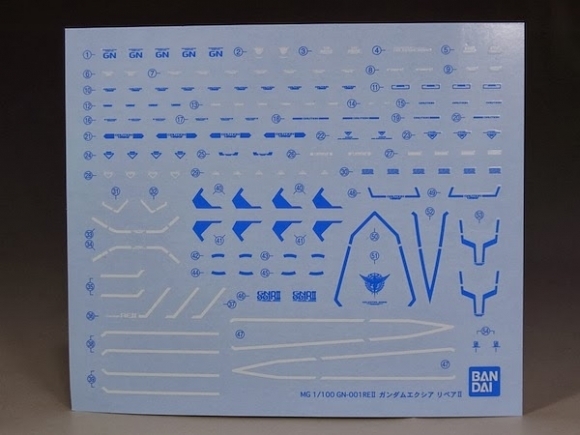 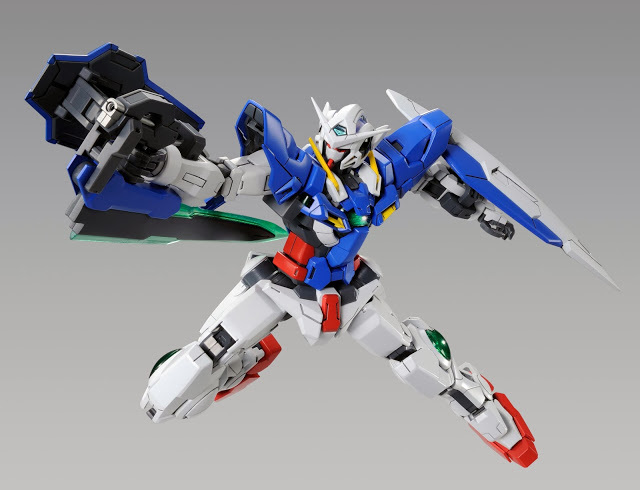 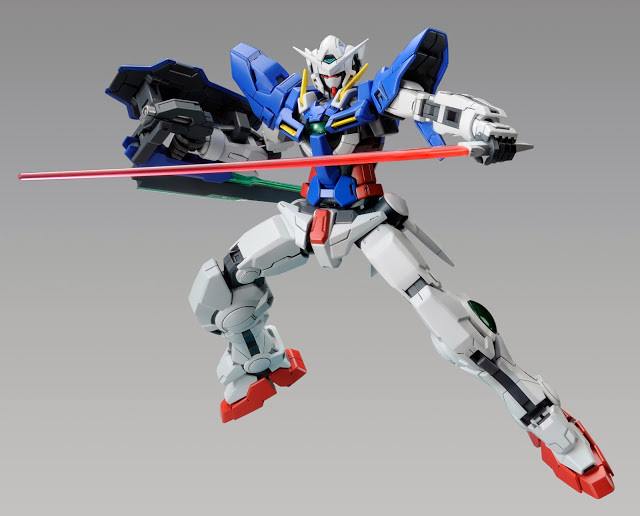 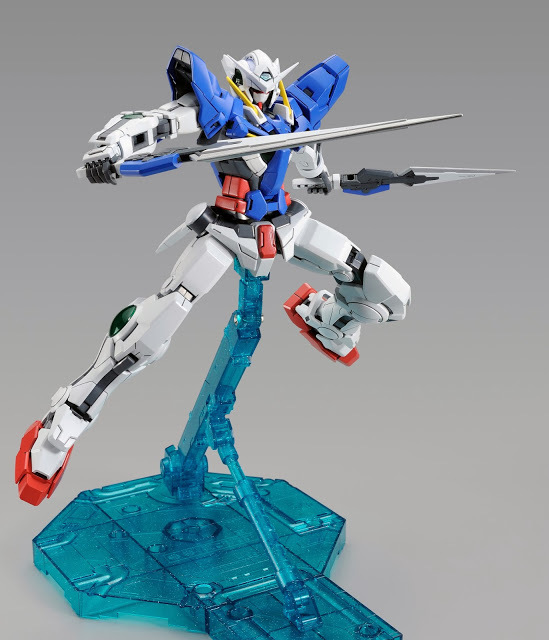 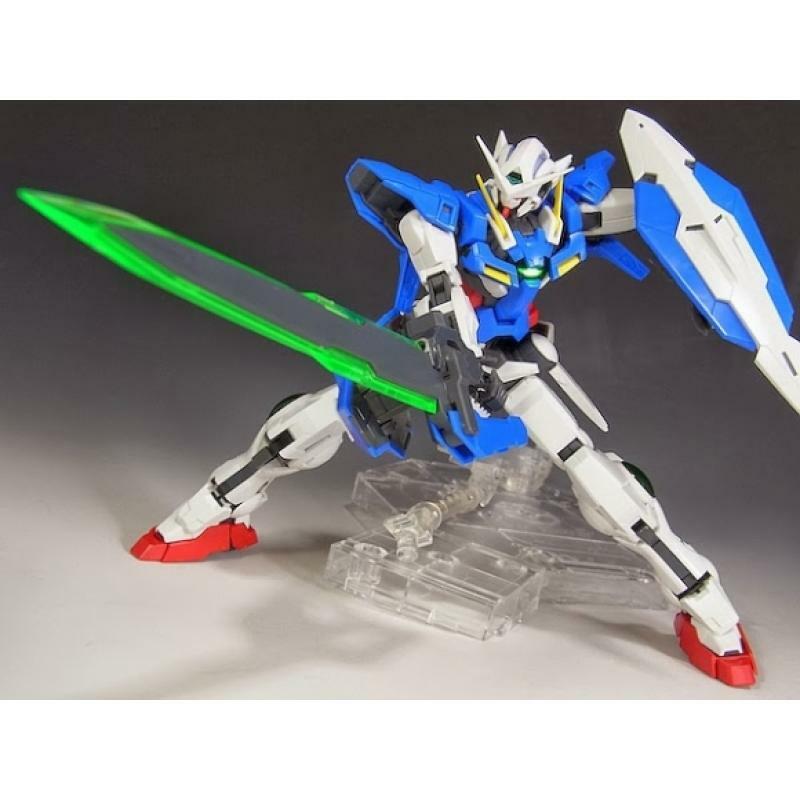 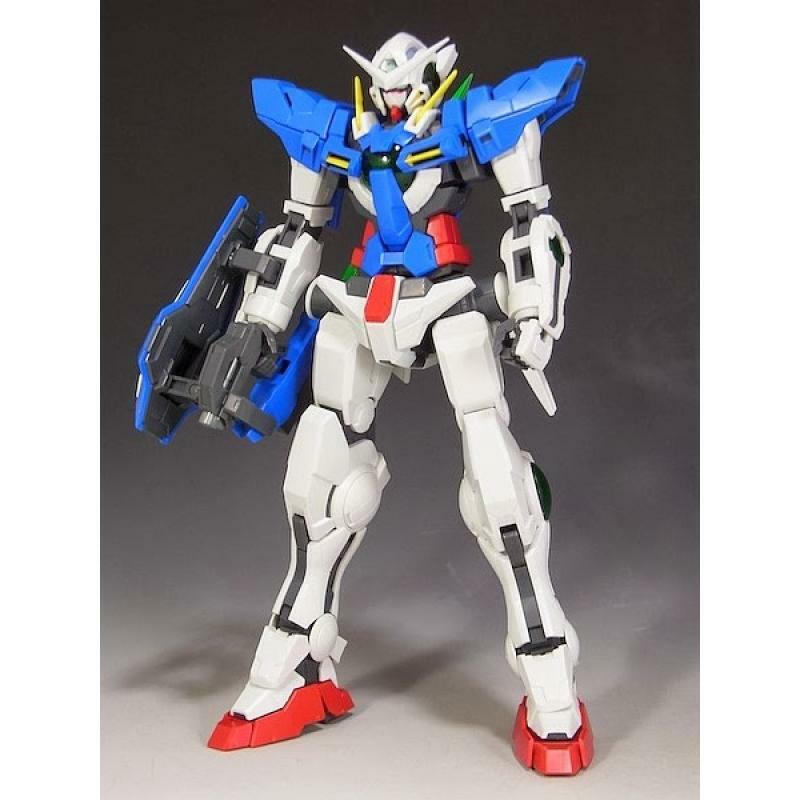 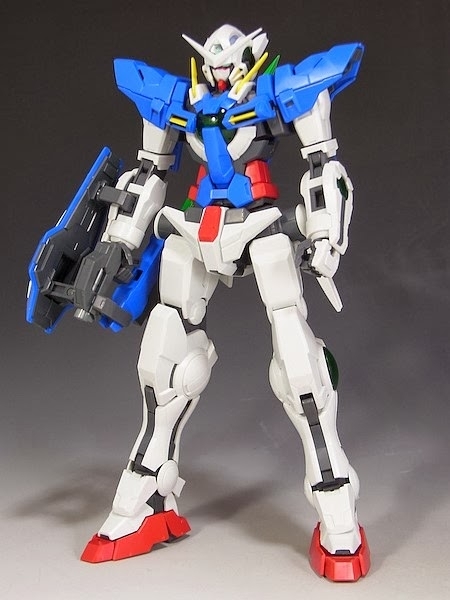 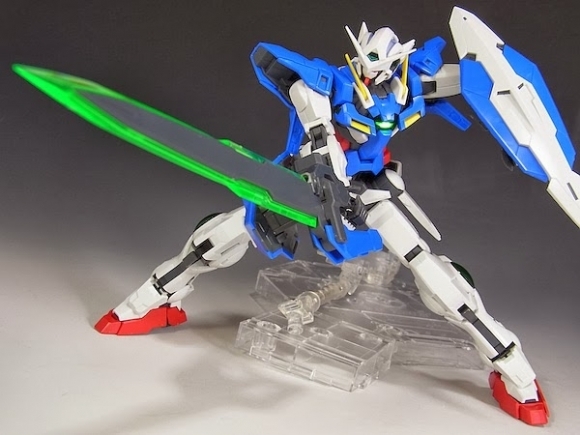 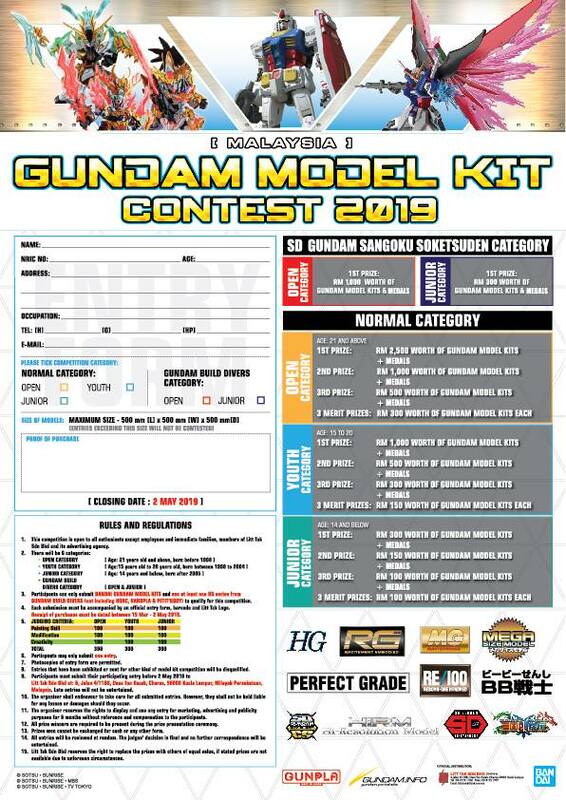 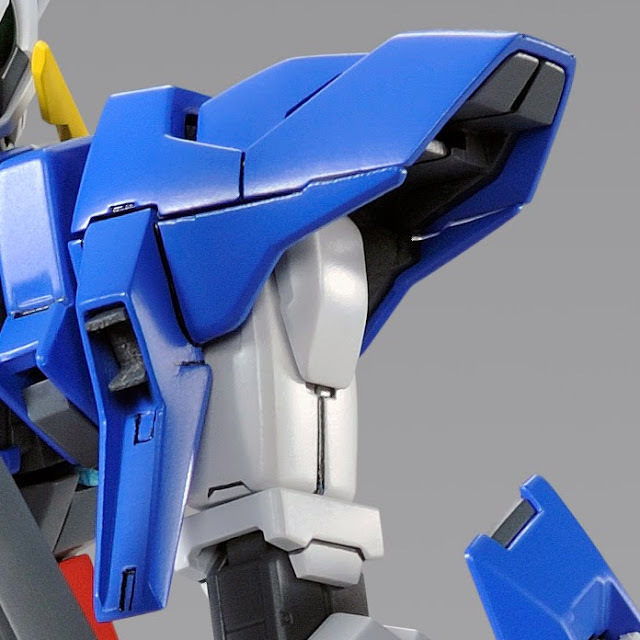 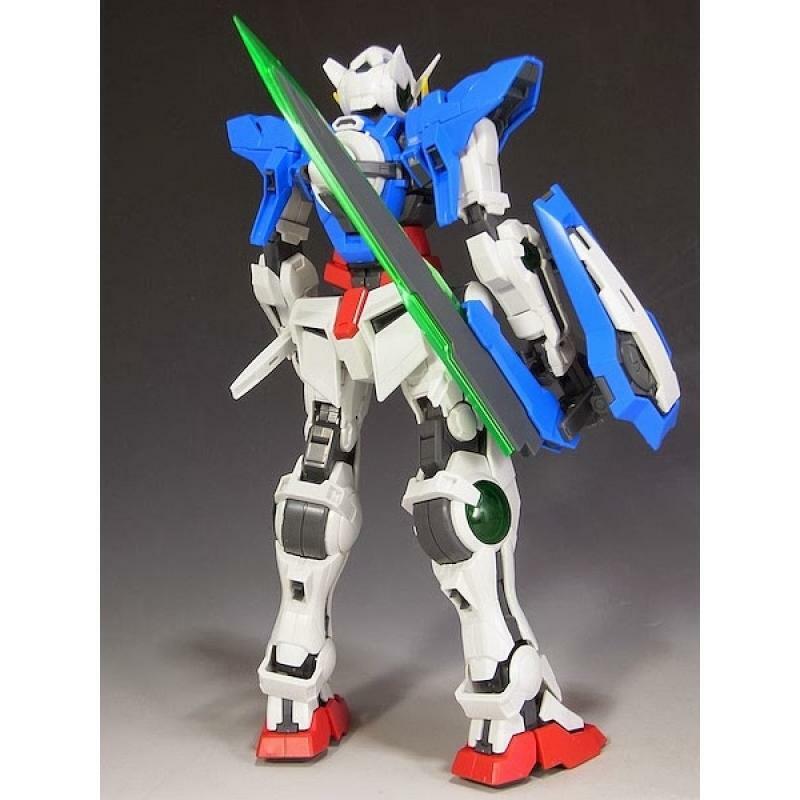 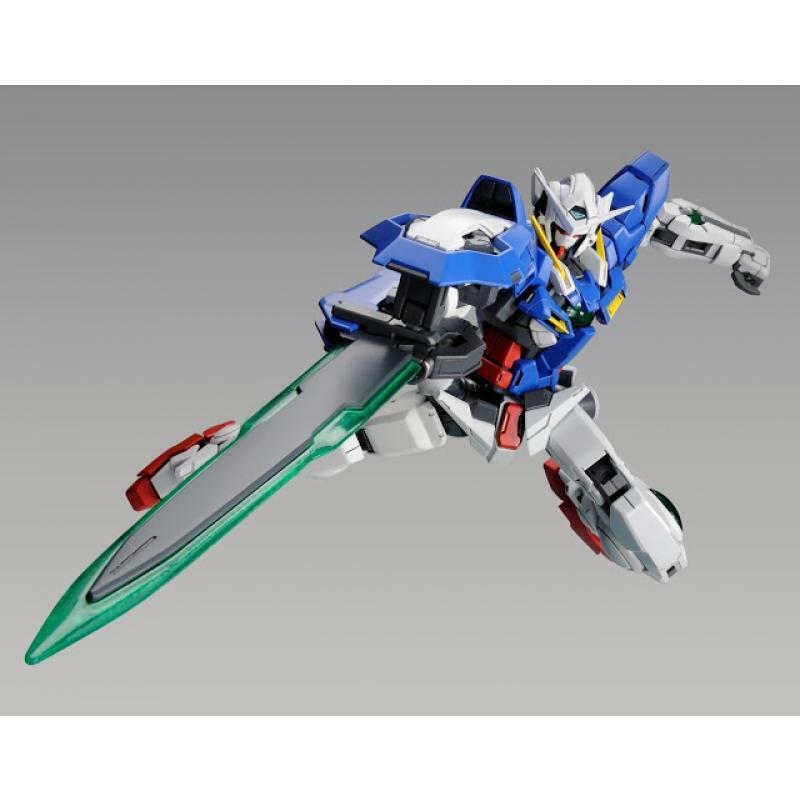 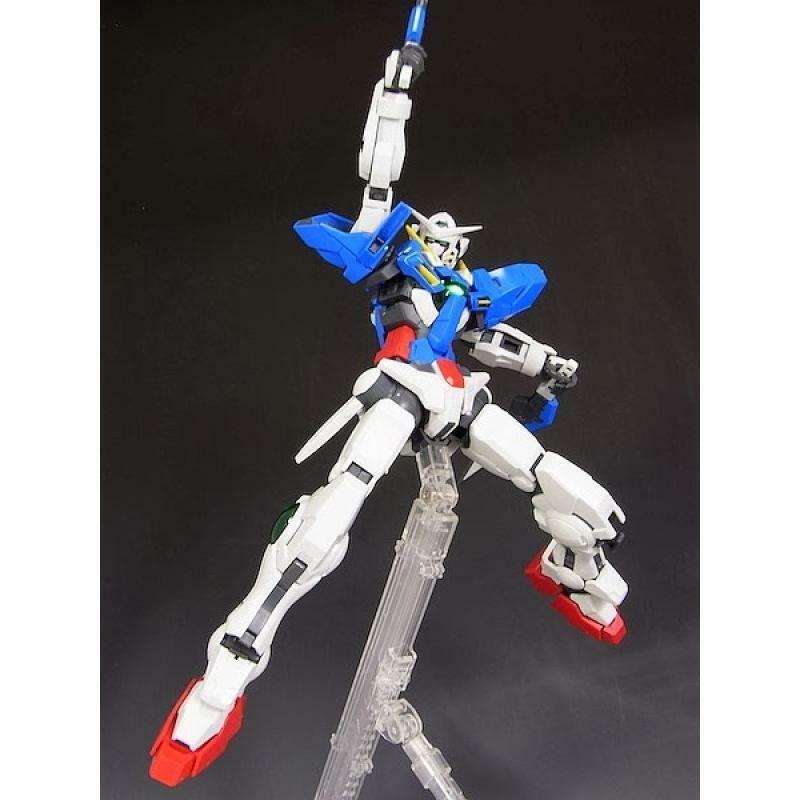 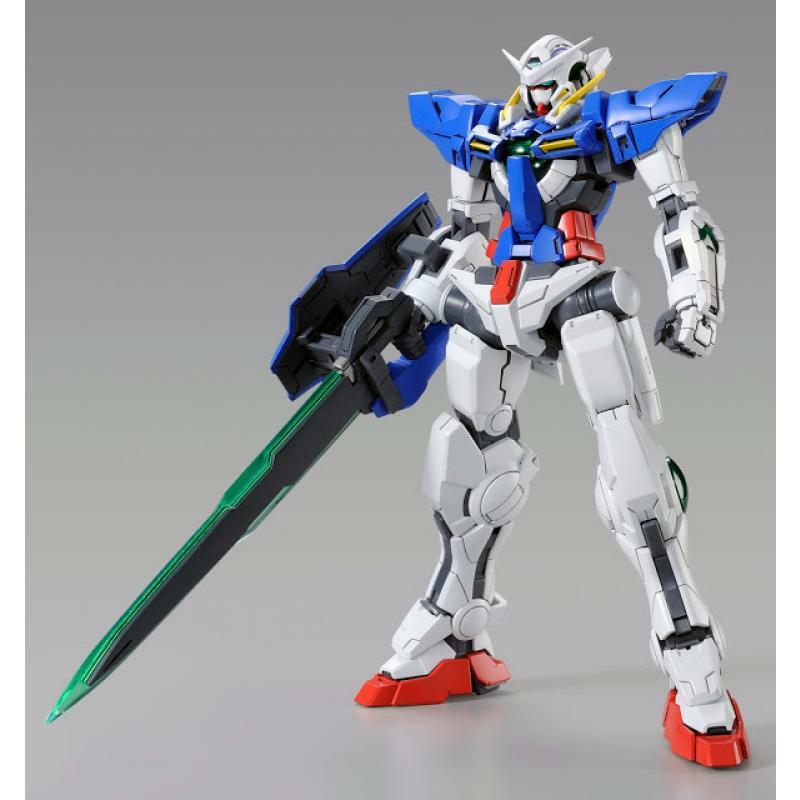 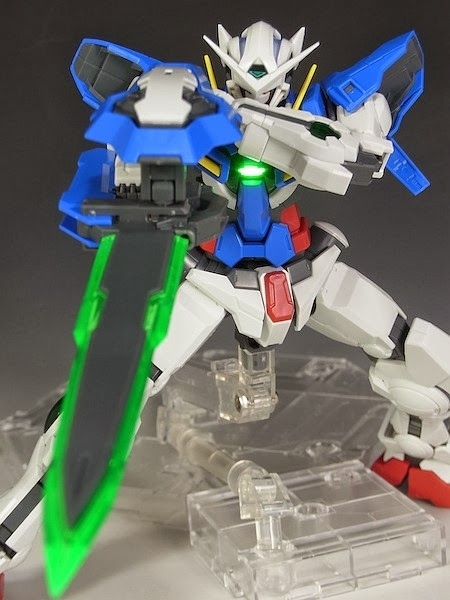 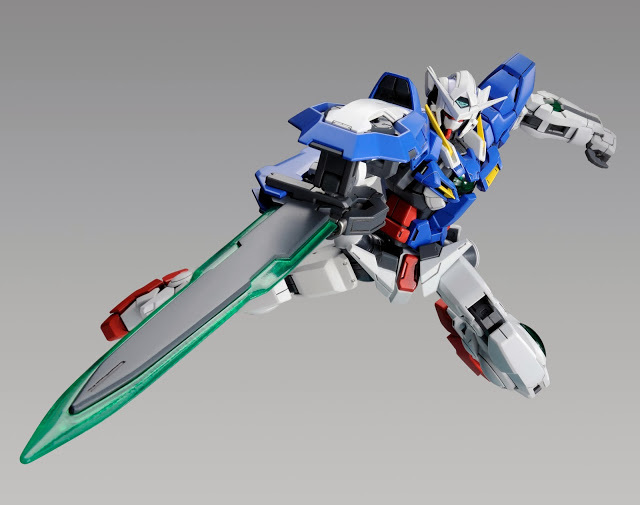 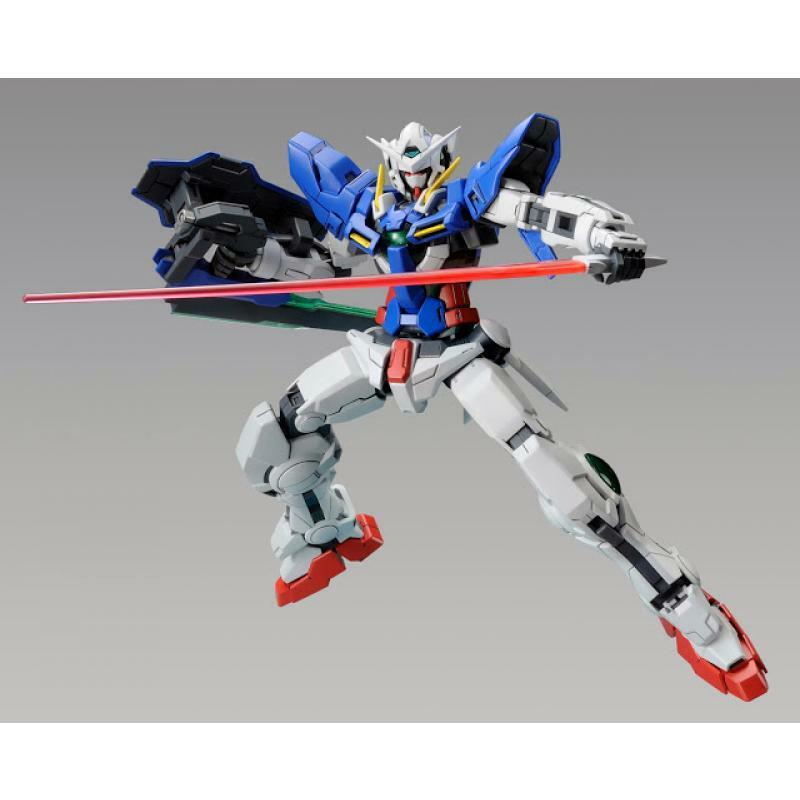 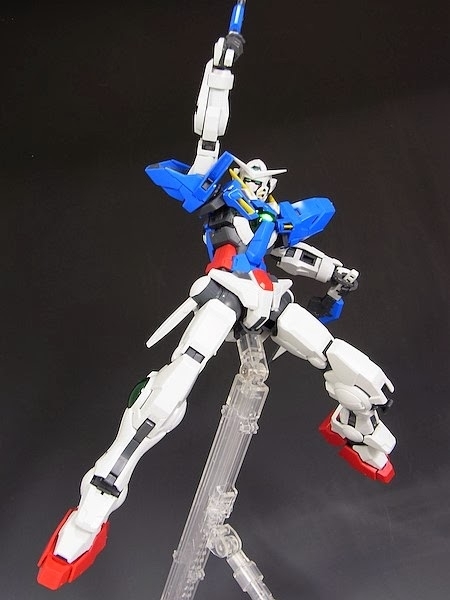 GUNDAM EXIA has used are included as kit value to expand the possibility of posing.